Crazy news just in—Google is acquiring the handset division of Motorola, Motorola Mobility, for $12.5 billion. This means Google could soon officially in the hardware business. Could, because the deal has to pass regulatory scrutiny from governments around the world plus the eyeballs of Motorola's shareholders. But should that all clear, this is a big, big deal. From the press release (below), "the acquisition of Motorola Mobility, a dedicated Android partner, will enable Google to supercharge the Android ecosystem and will enhance competition in mobile computing. Motorola Mobility will remain a licensee of Android and Android will remain open. 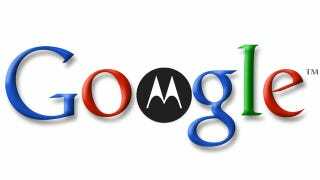 Google will run Motorola Mobility as a separate business." HTC, Sony Ericsson, Samsung, LG and the other Android manufacturers must be quaking in their boots today. That said, despite offering 32 phones—21 of which have Android baked in—Nasdaq pegged Motorola with a paltry 3% market share as of the beginning of this year. Not exactly a commanding force. Then again, that was before Google was at the reins. • Google putting out its own hardware makes things super awkward for Google's Android partners, and could be the best thing that ever happened to Windows Phone. Samsung, HTC, et al, are going to need another avenue of attack, since Motorola branded products are going to theoretically have a major advantage, even if Google insists they're going to have to compete like every other phonemaker. • What does this mean for Google's retail skills? They totally boned the original Nexus launch. On the one hand, now they've got Motorola's supply chain and competencies. On the other hand, Motorola lately hasn't been all that amazing (3 percent share, and that's with the most visible Android brand name on the market). • Motorola's got something like 21 Android handsets. Does that mean we're suddenly going to have two dozen phones running stock Android? That would be kind of incredible. At the same time, other OEMs are probably going to be even more aggressive with their skins so that they can "differentiate." In an ideal world, they're forced to find a way to actually improve the Android experience. In reality, they're probably just going to screw it up more. "We recently explained how companies including Microsoft and Apple are banding together in anti-competitive patent attacks on Android. The U.S. Department of Justice had to intervene in the results of one recent patent auction to "protect competition and innovation in the open source software community" and it is currently looking into the results of the Nortel auction. Our acquisition of Motorola will increase competition by strengthening Google's patent portfolio, which will enable us to better protect Android from anti-competitive threats from Microsoft, Apple and other companies." Just in case you had little doubt in your mind, patents are the new basketball cards. MOUNTAIN VIEW, Calif. & LIBERTYVILLE, Ill., Aug 15, 2011 (BUSINESS WIRE) — Google Inc. GOOG -3.15% and Motorola Mobility Holdings, Inc. MMI +60.36% today announced that they have entered into a definitive agreement under which Google will acquire Motorola Mobility for $40.00 per share in cash, or a total of about $12.5 billion, a premium of 63% to the closing price of Motorola Mobility shares on Friday, August 12, 2011. The transaction was unanimously approved by the boards of directors of both companies. Sanjay Jha, CEO of Motorola Mobility, said, "This transaction offers significant value for Motorola Mobility's stockholders and provides compelling new opportunities for our employees, customers, and partners around the world. We have shared a productive partnership with Google to advance the Android platform, and now through this combination we will be able to do even more to innovate and deliver outstanding mobility solutions across our mobile devices and home businesses." Andy Rubin, Senior Vice President of Mobile at Google, said, "We expect that this combination will enable us to break new ground for the Android ecosystem. However, our vision for Android is unchanged and Google remains firmly committed to Android as an open platform and a vibrant open source community. We will continue to work with all of our valued Android partners to develop and distribute innovative Android-powered devices." The transaction is subject to customary closing conditions, including the receipt of regulatory approvals in the US, the European Union and other jurisdictions, and the approval of Motorola Mobility's stockholders. The transaction is expected to close by the end of 2011 or early 2012.